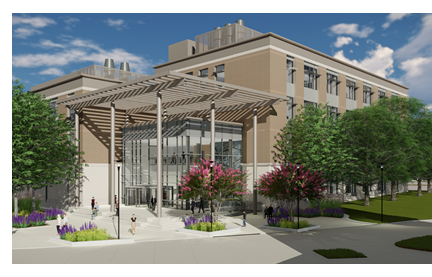 ​ ​COLLEGE STATION – Texas A&M University held a ceremonial groundbreaking ​on its new Plant Pathology and Microbiology Building. A facility that, when completed, is expected to serve as the new home for a department with a strong focus on helping meet the ever-growing worldwide demand for food. With this building, Vice Chancellor and Dean for Agriculture and Life Sciences Mark Hussey said the college will achieve its goal of locating 13 of its 14 departments together on A&M's west campus. The groundbreaking comes nearly two weeks after the college had the grand opening of its new Wildlife, Fisheries and Ecological Sciences Building nearby. The facility will include teaching and research laboratories, greenhouses, seminar rooms, offices and more and is expected to serve as a home for a critical field of study looking toward the future. The building is projected to be completed by May 2019. ​Get educated on more education stories across Texas.